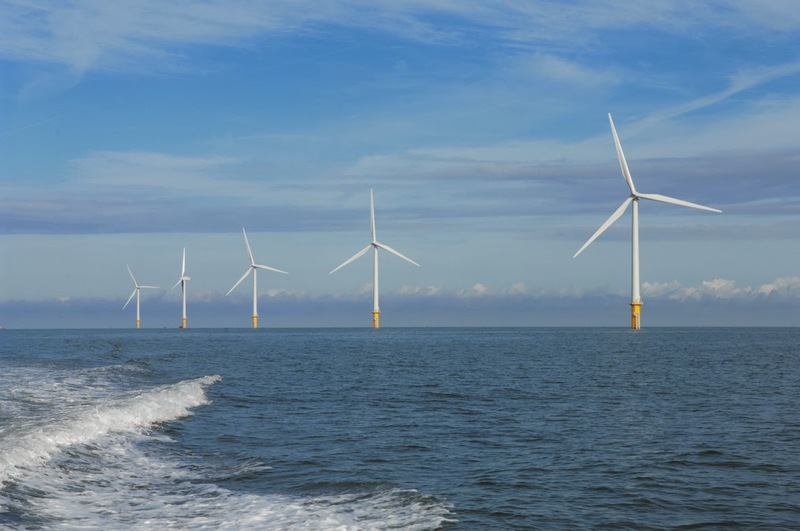 The offshore wind industry has enjoyed a record-breaking year in terms of new deployment, according to RenewableUK’s latest annual report, “Wind Energy in the UK”. The study, which assesses the state of the wind industry from July 2012 to June 2013, reveals a step change in the offshore wind sector. Installed capacity stood at 3,321 megawatts (MW) at the end of June 2013, up from 1,858MW 12 months earlier. Offshore wind capacity has grown by a record 79% in 12 months. Amount of onshore and offshore wind installed increases by more than 40% since last year. For the first time, more turbines built offshore than onshore in the previous 12 months. Offshore projects getting bigger, while onshore projects become smaller. The UK wind industry employs over 16,500 people in direct full-time jobs. Four large scale offshore projects went operational during the 12-month period covered by the report – Greater Gabbard, Gunfleet Sands III, Sheringham Shoal, and Kent’s London Array, which is currently the biggest offshore wind farm in the world (630MW), exemplifying the trend towards larger offshore schemes. The 1,463MW installed offshore marks the first year in which offshore deployment has outstripped onshore wind. Onshore, 1,258MW of new capacity came into operation, bringing the total installed to 6,389MW – an increase of 25%. Onshore and offshore, a total of 2,721MW was installed between July 2012 and June 2013, taking the UK’s total wind capacity up from 6,856 to 9,710MW – a 40% increase or enough to power more than five and a half million UK homes. The new capacity brought £2 billion of activity to the UK economy. Onshore, project sizes are declining overall, due partly to the growth of the vibrant sub-5MW market under the Feed-in Tariff, with projects at this scale now making up two-thirds of new onshore submissions. Other factors include a reduction in the availability of larger sites, and developers’ responses to changes in the planning system. The number of onshore projects approved at local authority level (i.e. under 50MW) fell slightly to 68% (from 72% in 2011/12), 56% of projects were approved on appeal.